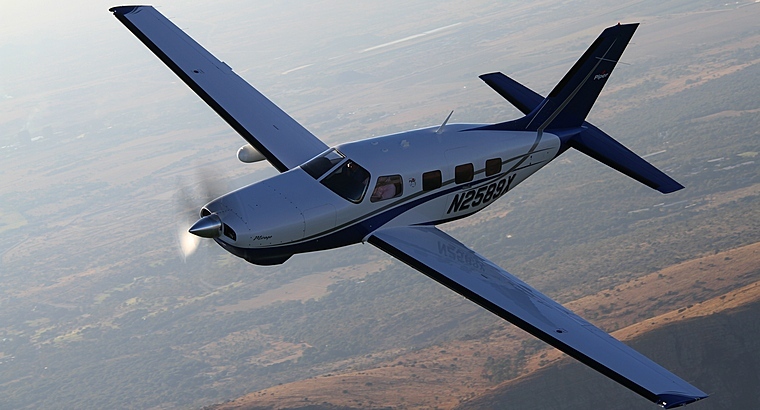 When Piper in the late 1970's started work on the PA-46 it took a huge gamble with an aircraft that was at best aimed at a niche market. The PA-46 was designed as a single engine six seater (pilot and five passengers) pressurised low wing and was only the third single engine pressurised aircraft to have reached the market. 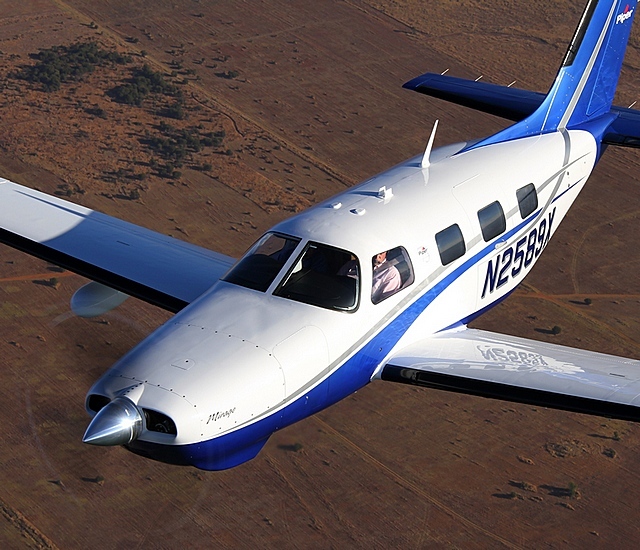 The others were Mooney's M22 and Cessna's high wing P210 centurion neither of which sold in large numbers. 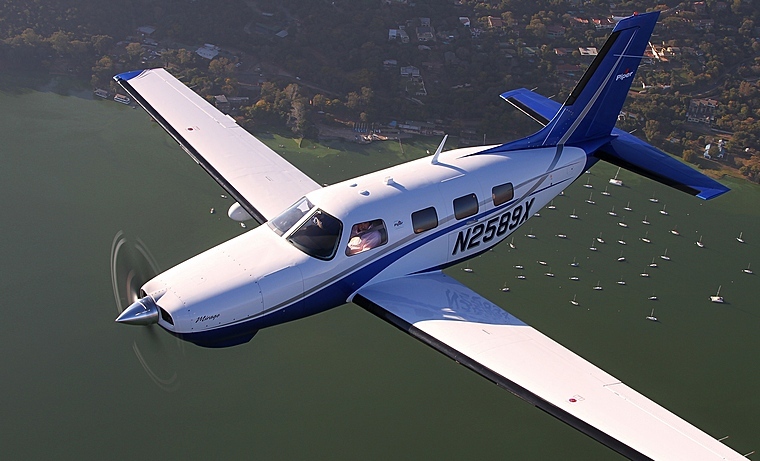 Despite misgivings about where exactly it would fit into the market that in 1982 when the PA-46 was revealed where seriously depressed more than 100 PA-46's sold in the first year. The reservations seemed to have been unfounded as owners of twin prop turbos moved down whilst those flying high performance singles moved up. The reason for the PA-46's success was many, it had presence, it looked right whether viewed on the ramp or whilst inside its well-appointed cabin with its comfortable club seating and it had the performance and handling to match its sporty look and the avionics to make the journey a pleasure. Production of the Mirage, one of three spinoffs of the Malibu commenced in October 1988. The Mirage differs from its sisters by having the more powerful 350 hp (260 kW) Lycoming power plant as well as a different wing design. Over the years various improvements were made to the design. The Avidyne Entegra glass cockpit became standard equipment whilst customer was also offered the option of having the Garmin G1000 fitted. The high aspect ratio wing which ads to greater high-altitude efficiency and also adds to the aircrafts incredible range was strengthened and scissor airbrakes were added. 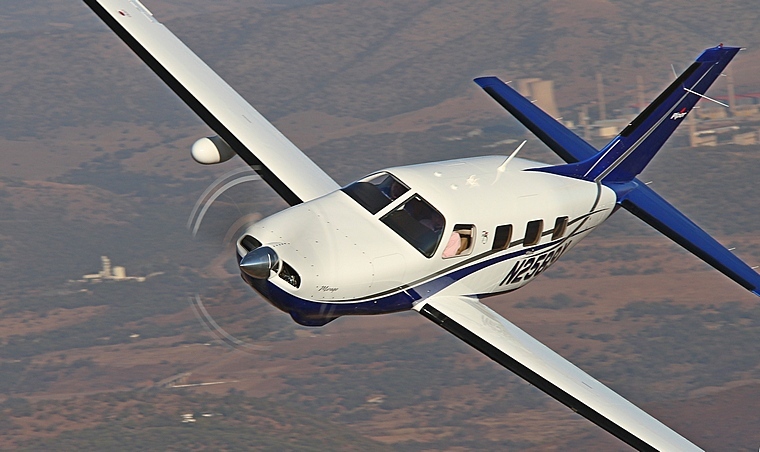 As I approached the Piper PA-46 M Class on the ramp, I said "That is presence!" You immediately notice the magnificent, high aspect ratio wing (43ft span) devoid of rivets and drag producing add-ons. The flaps and ailerons extend the full length of the trailing edge and the one piece elevator finishes off the conventional tail below the very adequate vertical fin and rudder. All in all the Mirage is a beautiful aircraft to look at and, as I was about to find out, with flying characteristics to match. Theo Truter, my check-ride instructor, told me to expect an exceptionally well designed aircraft with smooth, harmonized controls. He wasn't wrong! The rotation at 75kts gave me the feeling that I was flying a substantial single piston and required a firm pressure to lift off and commence the climb - a satisfying feeling that you are not in a 'light' aircraft. The retraction of the landing gear and flaps requires a trim change and this can easily be accomplished electrically or manually by using the conveniently placed trim wheel in the throttle console. My immediate impression after lift-off, was that the M series Pipers (Matrix and Mirage) are very stable with solid controls giving the pilot confidence that the aircraft are responsive and very easy to fly. This is a particularly nice feature when flying in IMC conditions. Theo then took me through the stalls in various configurations. With full flap and gear extended we stalled at 58 kts! Amazing for an aircraft with a MTOW of 4340 lbs. Next came the clean stall and I prepared for a sharp wing drop - well, what an anti-climax, the aircraft shuddered and even when I tried to aggravate the stall the docile lady dropped her nose with wings level and the recovery was a 'doddle'. With the upper air work completed it was time to return to Lanseria. Theo reiterated the dangers of super cooling the big turbo charged Lycoming and wanted to maintain 28" of manifold pressure on the descent. The wing is sleek and our rate of descent was only 500 fpm with the airspeed at top of green and would then result in us being far too high on arrival at Lanseria. Now for a first time experience in a single for me - Theo suggested I extend the speed brakes and observe. I kept the speed and engine parameters the same and as the scissor air brakes extended, there was a mild rumble followed by the VSI increasing the rate of descent to 1500 fpm. 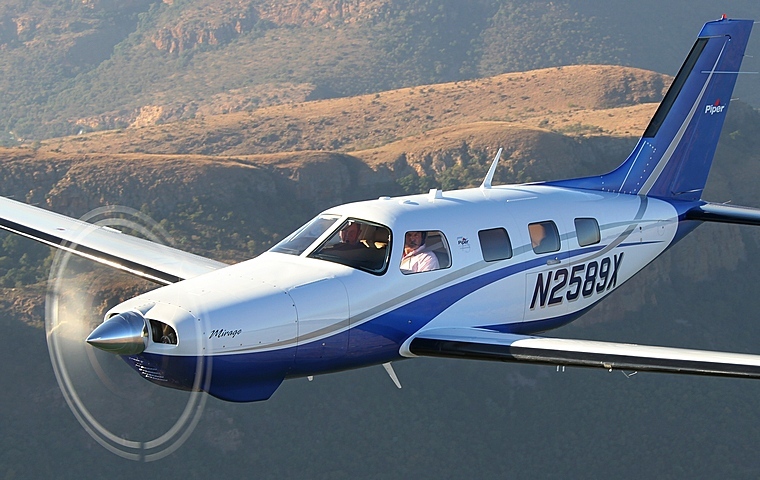 What an amazing feature designed to make the PA-46 series aircraft fit in very well in the pattern even with high performance jets and turboprops around. This feature has no speed limit and obviously is more effective at higher speeds. What is also a bonus is that you can land with them extended which will dramatically shorten the landing run. On final approach set the speed at 80 kts, on the slope and the powerful elevator gives you ample control in the pitch mode to execute a smooth landing. In conclusion, if you want a well-balanced, very capable single engine cabin class aircraft call NAC and ask for a demonstration of the unpressurized Matrix or the pressurized Mirage. It could open a new chapter in your aviation experience!